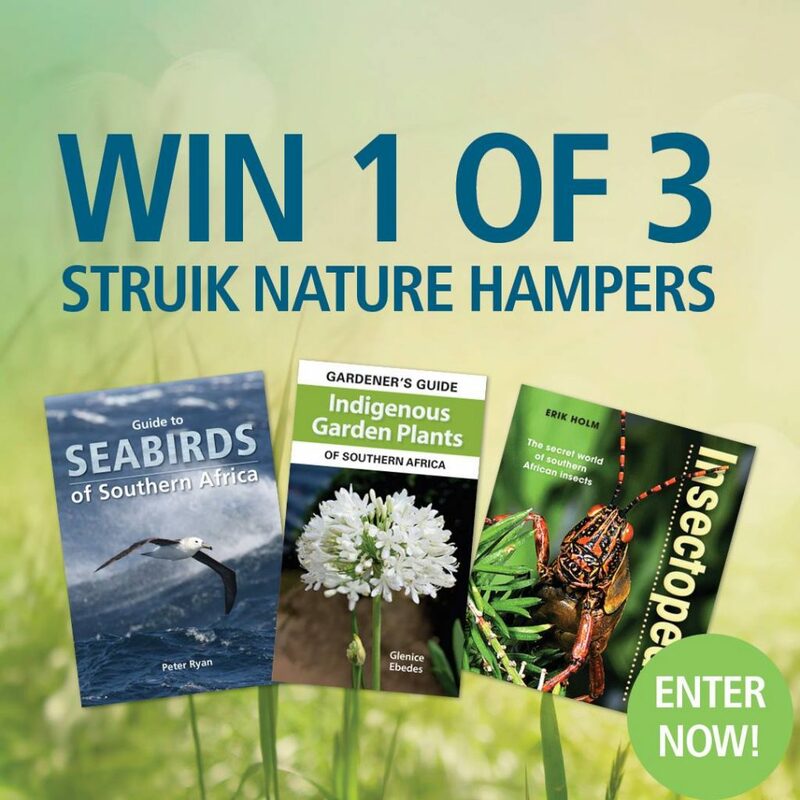 Three winners will each receive a hamper of nature books! Each hamper includes a copy of Guide to Seabirds of Southern Africa, Gardener’s Guide to Indigenous Plants of Southern Africa and Insectopedia. To stand a chance of winning, simply complete the online competition form below. The cut-off date for entries is 31 March 2017. Terms and Conditions apply.